No.1 all girl Heavy Metal band in JAPAN, all the way from Tokyo! Tickets go on sale at 7th Heaven Oct. 25th! 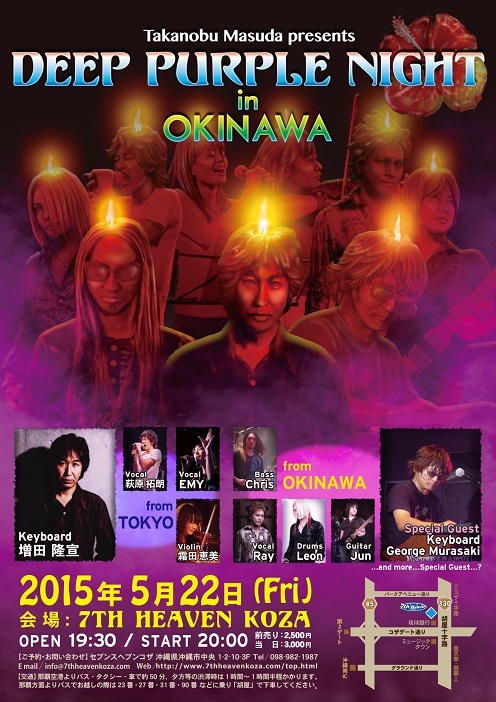 ５月２２日（金）　Takanobu Masuda presents "Deep Purple Night in Okinawa"